The conference inspired a remarkable range of papers from veterans of Russian literary studies to PhD students, with political scientists, historians and even a natural scientist finding new directions for their research through Dostoevsky. It was a wonderful reminder of what a privilege it is to work in such a vibrant field with such generous colleagues. Centre stage was taken by two works: Demons, the novel which contains Dostoevsky’s most sustained and satirical depiction of revolutionaries, and Notes from Underground, the vigorous critique of the radical ideologies of the 1860s that announced once and for all the author’s break with his own youthful flirtation with socialism. Perhaps less expected were the appearances of his early novella The Double. Dostoevsky’s unsuccessful attempt to rewrite the novella in the 1860s – and to include a revolutionary subplot – may explain its interest for some speakers. But the question of why he saw the double as such an important type, but never revisited it in the form it took in this text, led Malcolm Jones to propose that this is precisely the place to look for the key to Dostoevsky’s fictional world. Of the many ways of studying Dostoevsky, philosophical approaches have always been popular. The difficulty of pinning down his relationship to the German Idealists whose ideas dominated the Russian philosophical scene when Dostoevsky first emerged as a writer in the 1840s (the problem the author later described as ‘ideas in the air’) has led many critics into a blind alley. But new ways of tackling this subject, and in particular the influence on Dostoevsky of Hegel, came in the form of an examination of the underground man’s conscious (and consciously literary and philosophical) self-construction in Alexandre Gontchar’s presentation, and, in Vadim Shkolnikov’s paper as the source for the idea of conscience developed in Notes from Underground, Crime and Punishment and beyond. It is here that Hegel’s role as a key component in the ultimate development of revolutionary ideologies in Russia becomes clear. Within twentieth-century philosophy, rescuing Dostoevsky from the one-sided interpretations of Gide and Camus that dominated for so long, several papers used the existentialist and phenomenological theories of Heidegger, Levinas and Patočka as the basis for explorations of Dostoevsky’s ethics and ontology in papers by Bilal Siddiqi, George Pattison and Yuliya Shcherbina. Two major themes emerged in various forms across papers adopting very different approaches. The first was the question of knowing and not-knowing. We were entertained by diversions into ‘ignorance studies’ (truly the humanities trend for our times! ), through Dostoevsky’s explorations of his own youthful stupidity and its profoundly serious consequences – leading him almost to the scaffold. But in questions of how one knows the self and the possibility of knowing the other, we return to the philosophical dimension and those ontological questions; when characters’ perceptions of reality and the nature of their own being become unstable, so does the text itself. If that is ultimately the result of non-recognition by others, then, as Artemy Magun proposed, non-recognition of others – the humiliated and injured of Dostoevsky’s world – may lie at the heart of an aesthetic of nothingness. Yet elsewhere, nothingness may contain the roots of conscience and the sense that all of us are guilty for everything, as the Elder Zosima puts it in The Brothers Karamazov. This sense of nothingness also relates to the second theme: death, and the nothingness of the void into which Dostoevsky’s characters – and readers – peer. Death appeared in many guises, from the repressed fear of death and the trivial activities that divert attention away from it, to the miscarried babies that, as Muireann Maguire showed, populate Dostoevsky’s notebooks but disappear from the novels themselves. 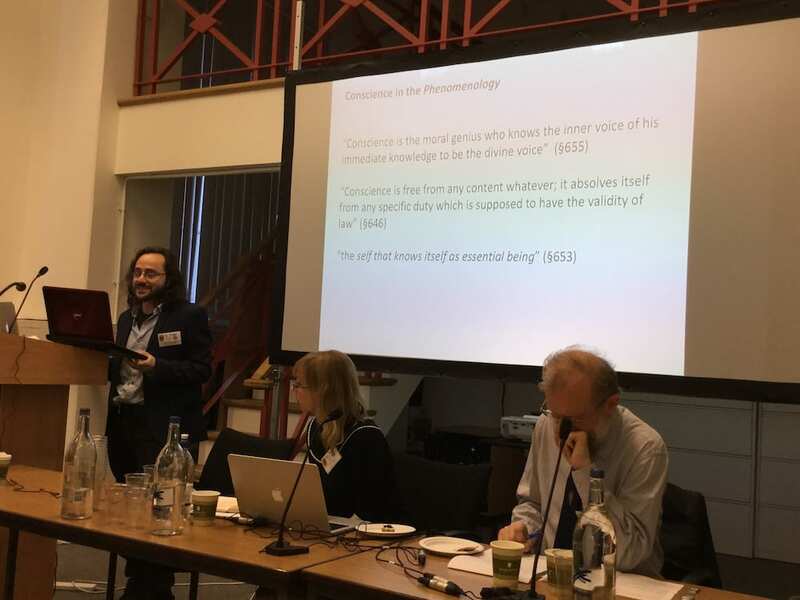 Resurrection featured in Alexis Klimoff’s contribution as a governing motif beyond the role of the biblical story of Lazarus that Sonia reads to Raskolnikov in Crime and Punishment, but also in the form of Dostoevsky himself, rescued from the ‘death of the author’. The undead made more than one appearance as well, in the form of the dead bodies’ shameless conversation in their graves in ‘Bobok’ analysed by Inna Tigountsova, and even zombies, as Oxana Timofeeva discussed the Chto delat? art and activism group’s recent action to mark the anniversary of the revolution and expel its demons. Listening to these talks and considering the question of death and the dead, I was reminded of a comment from Andrei Platonov’s novella about collectivization, The Foundation Pit: ‘the dead are people too’. Platonov, a communist and possibly the only truly great writer to emerge because of rather than despite the revolution, was influenced by the cosmist philosopher Nikolai Fedorov, who argued that the ‘common task’ of humanity was to work towards the resurrection of the dead and the overcoming of death itself. Dostoevsky was also fascinated by Fedorov’s ideas, and in his novels and stories, beyond the central question of the immortality of the soul, Dostoevsky depicts death not only as the ultimate existential problem, but also as a physical presence; death is what embodies us. In this context, it is perhaps not surprising that a number of participants and first-time visitors to UCL were so excited to see not just Jeremy Bentham’s auto-icon but also the exhibition featuring his preserved head. Bentham’s utilitarianism was the main inspirations for the theory of rational egoism propounded by the first Russian nihilists in the 1860s. It is precisely against this theory that the underground man’s argument is pitted, so the ‘spiritual father’ of UCL plays a crucial role in the development of Dostoevsky’s anti-radicalism. What better place, therefore, to bring new light to so many of Dostoevsky’s ‘accursed questions’ than under the gaze of one of his ultimate opponents? The conference programme is available here, and tweets from the conference are storified here. 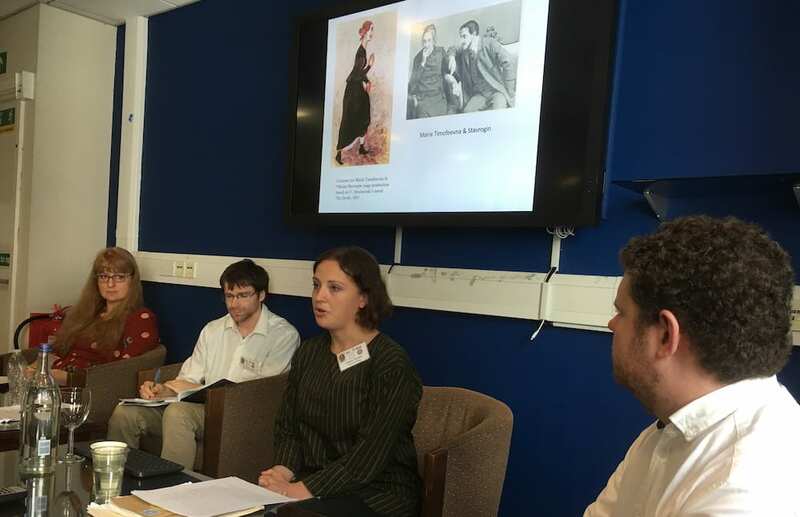 ‘Revolutionary Dostoevsky: Rethinking Radicalism’ was generously supported by UCL’s Global Engagement Fund, the SSEES FRINGE Centre, and UCL’s Institute of Advanced Studies.